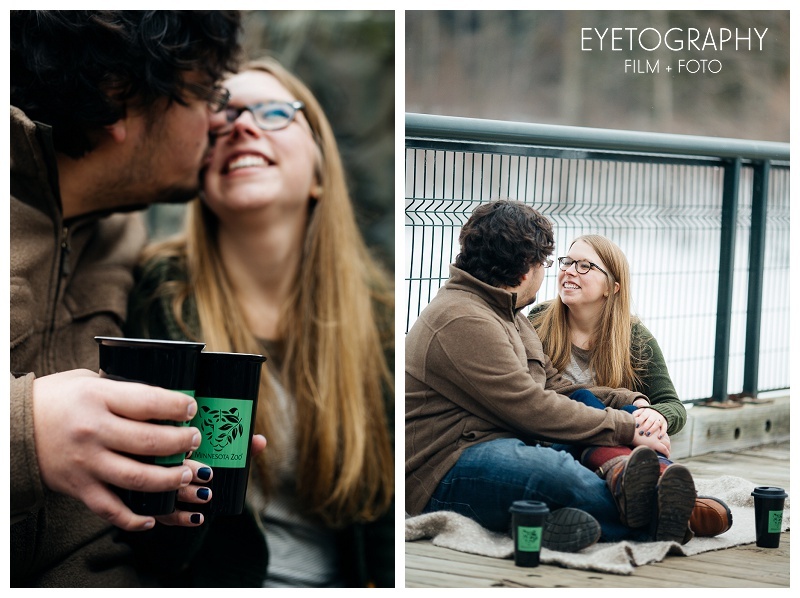 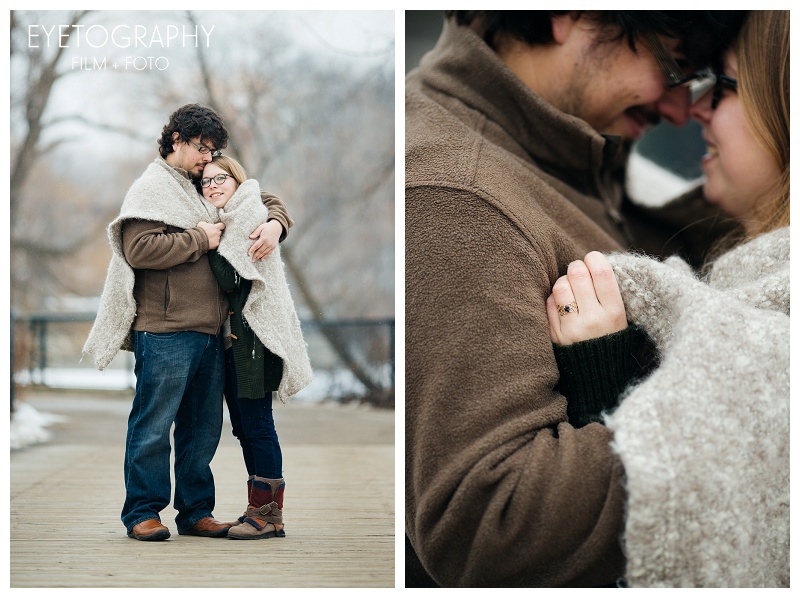 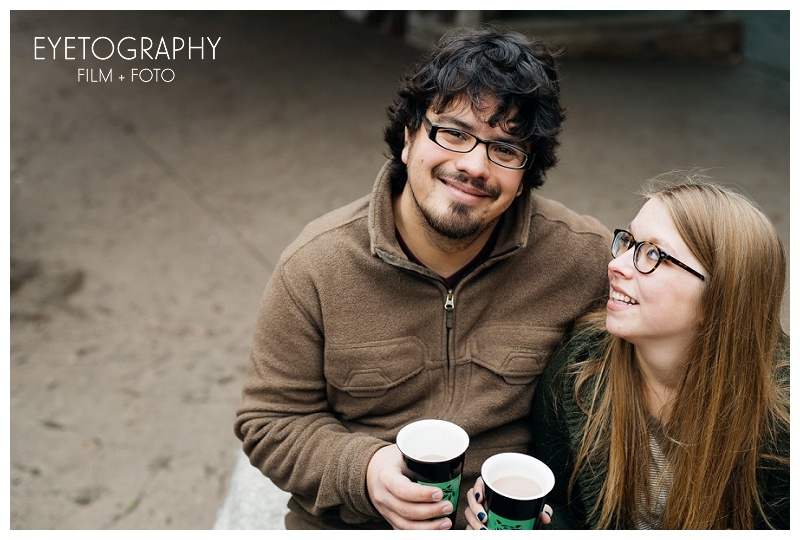 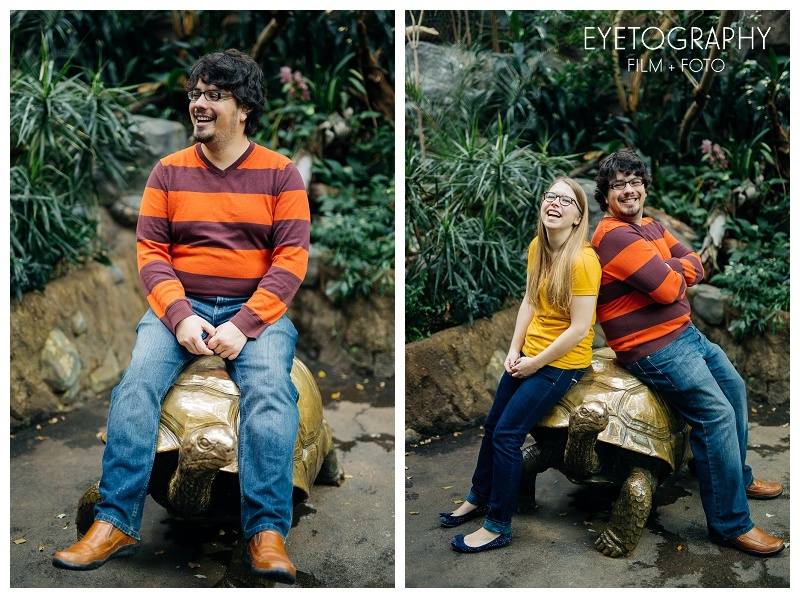 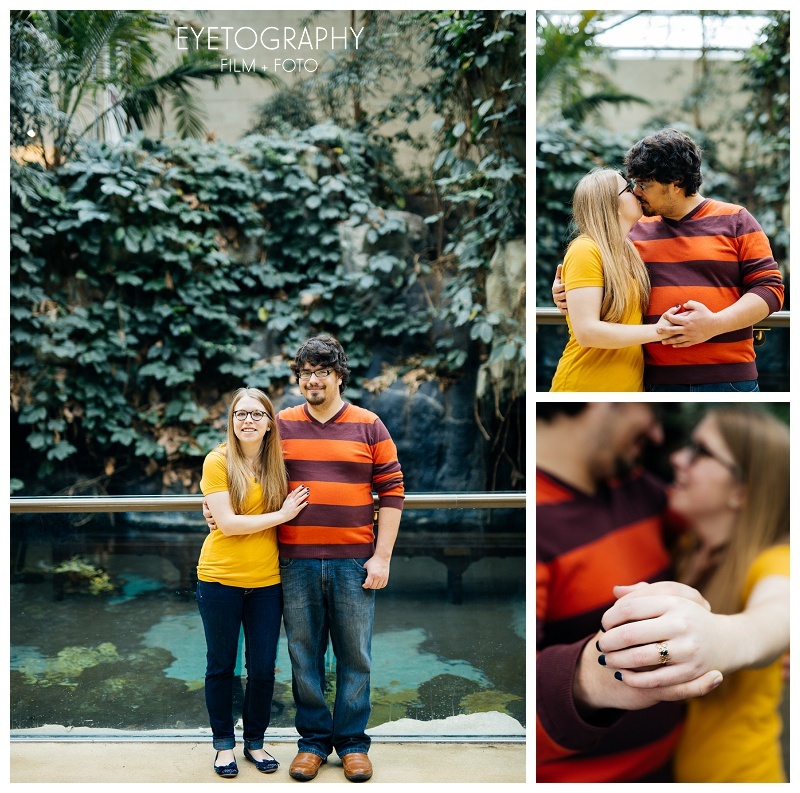 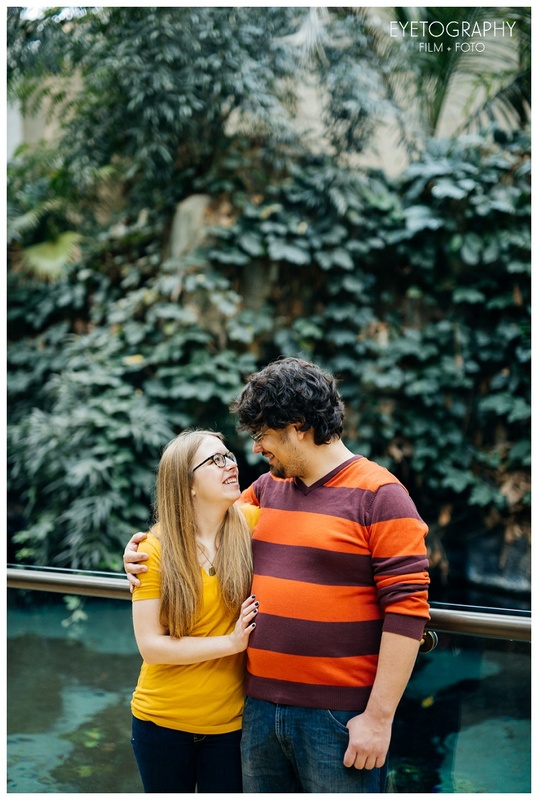 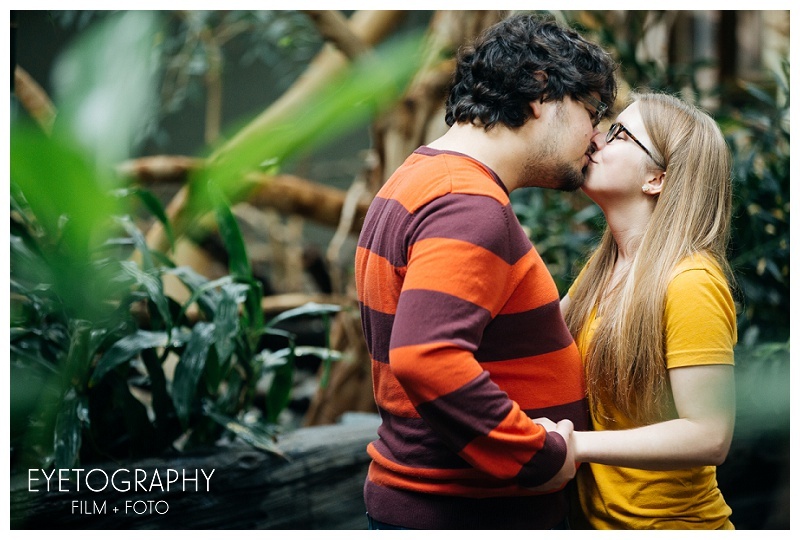 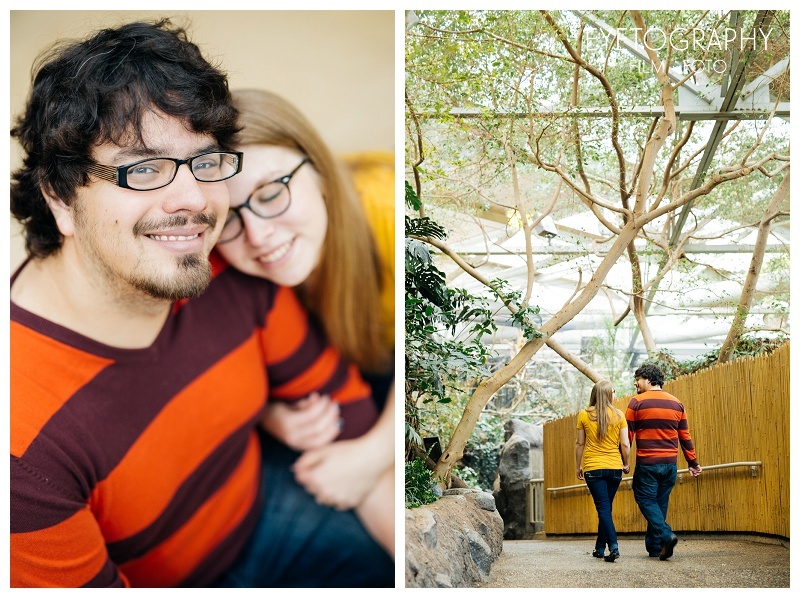 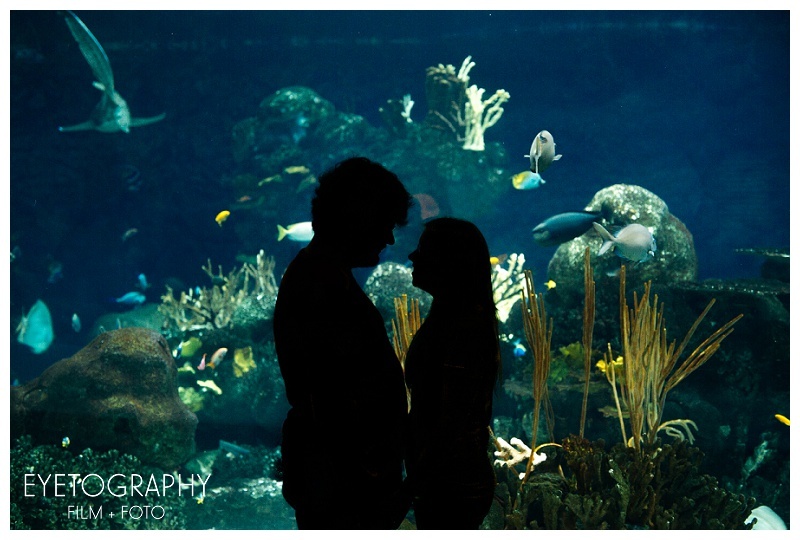 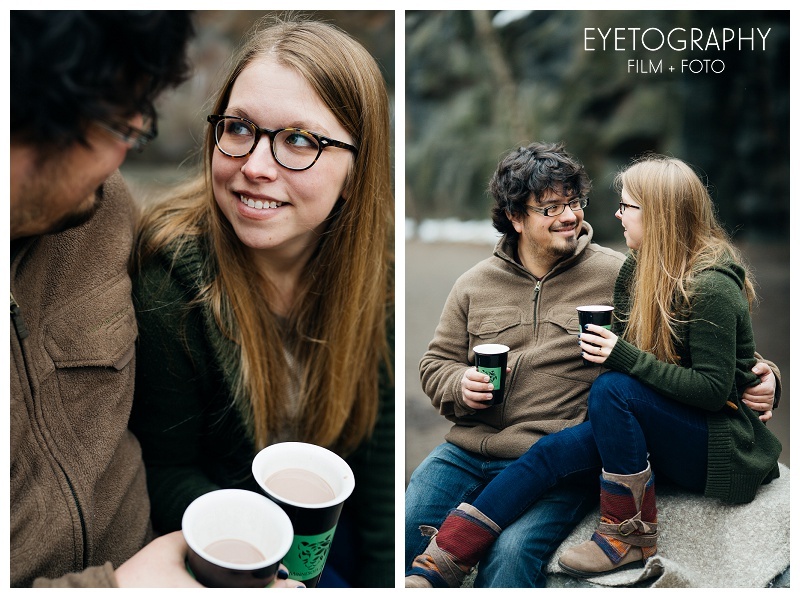 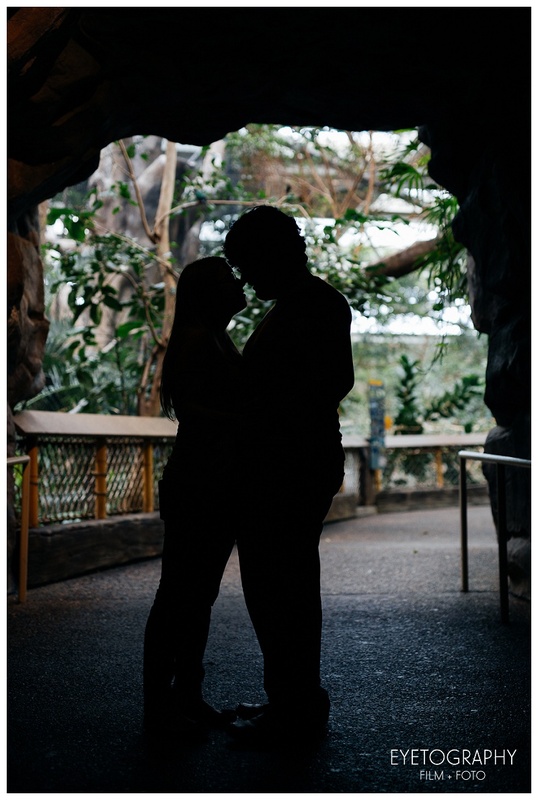 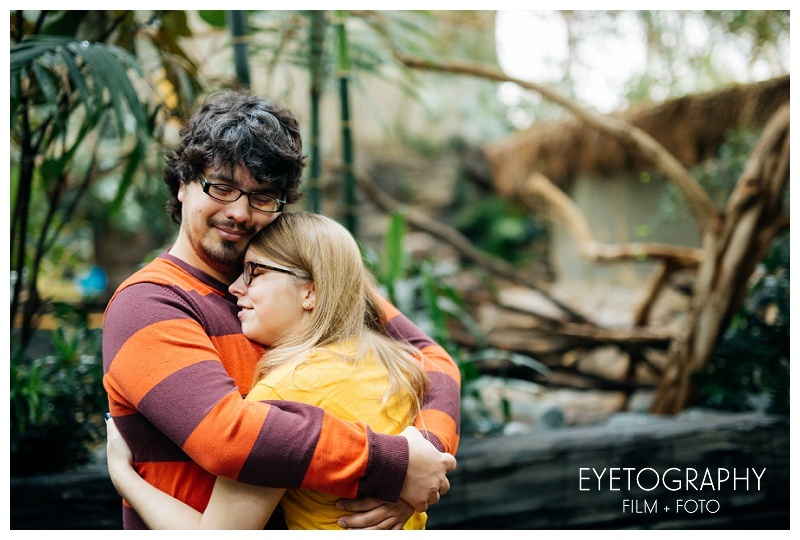 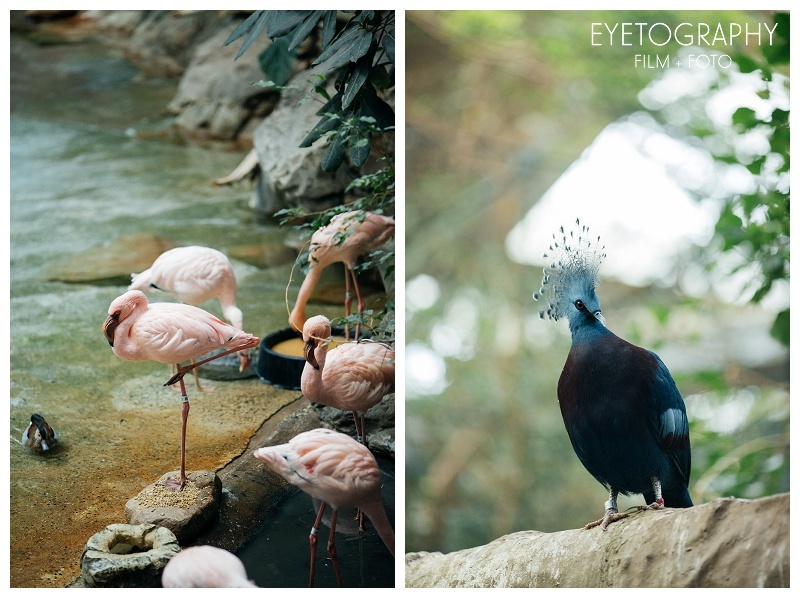 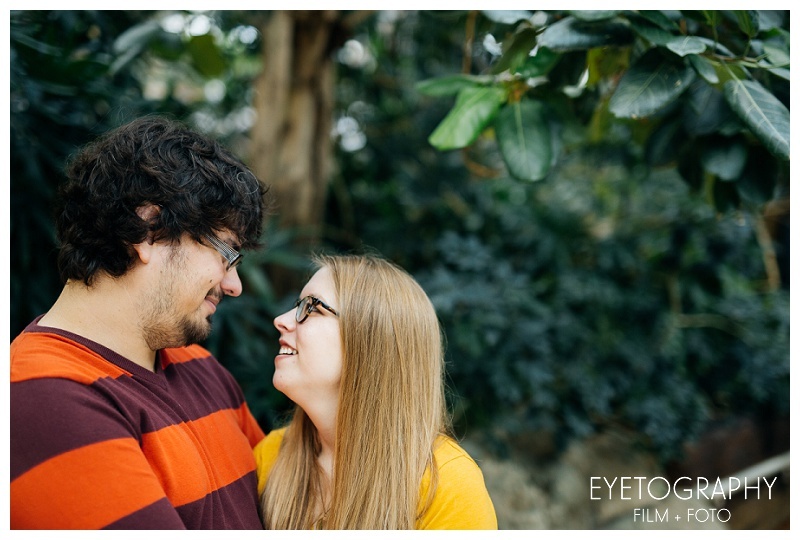 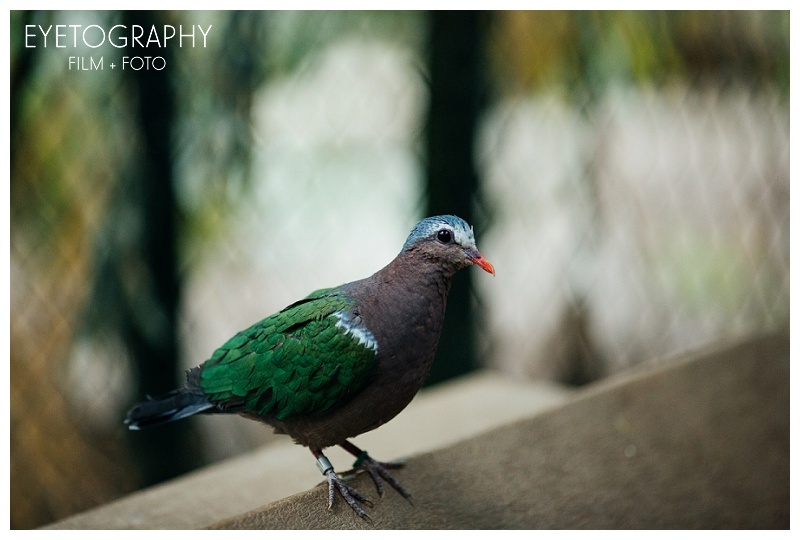 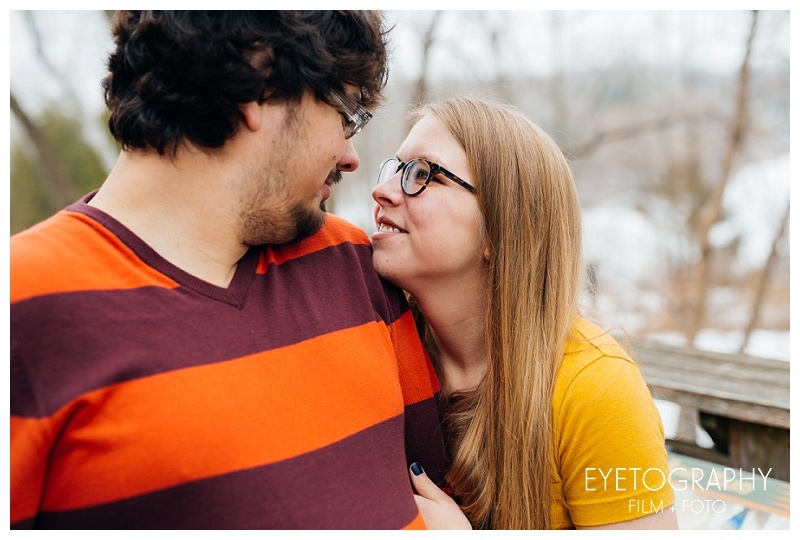 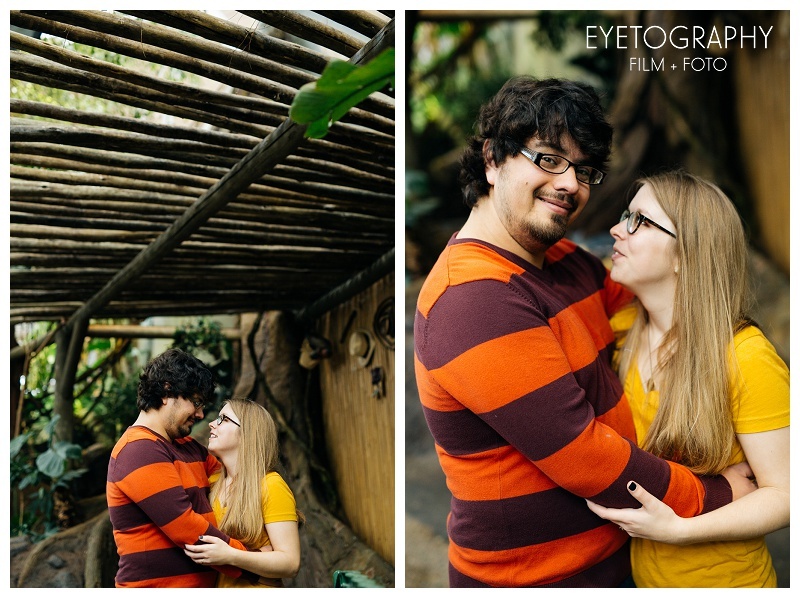 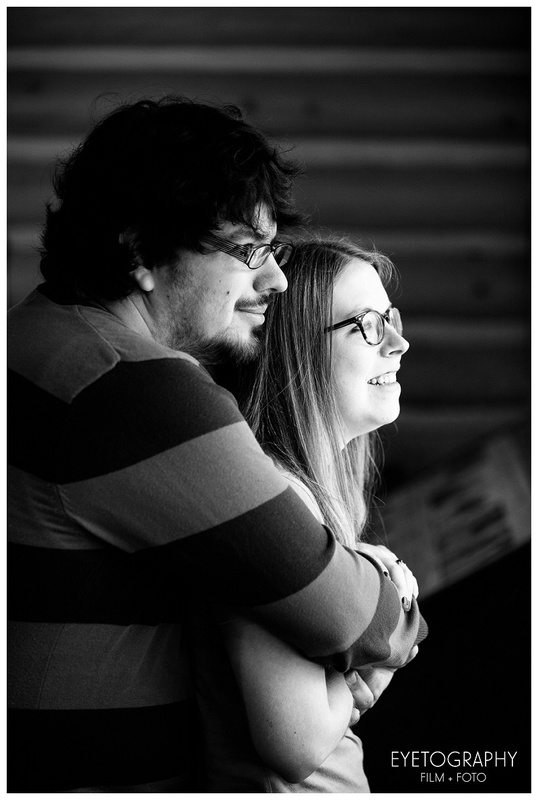 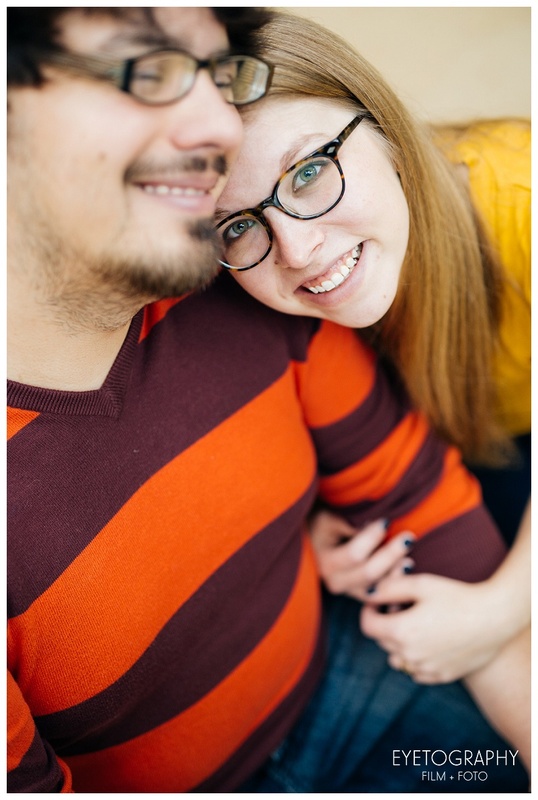 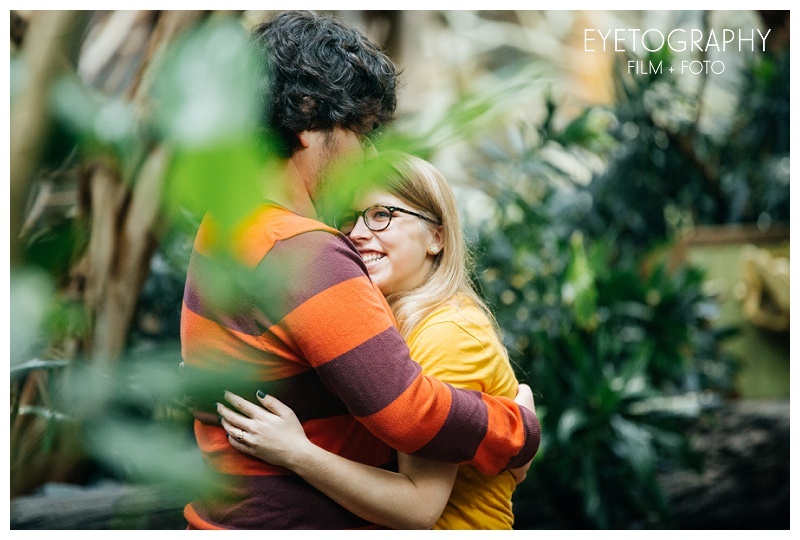 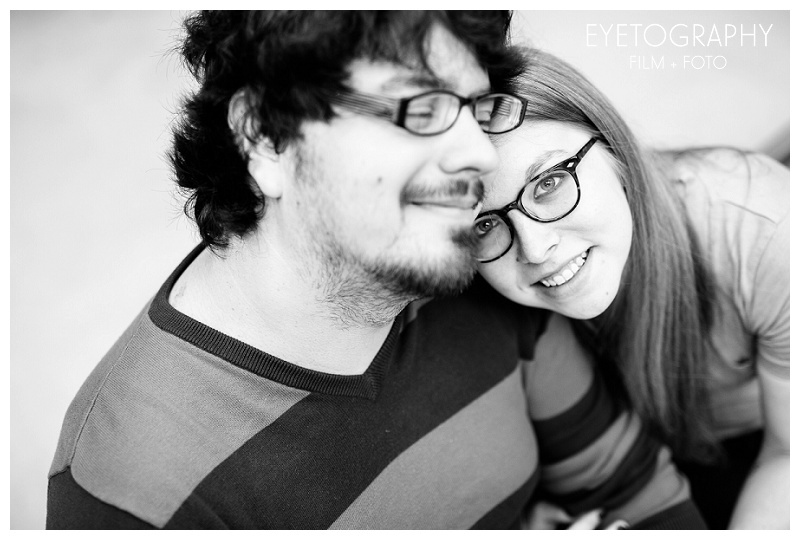 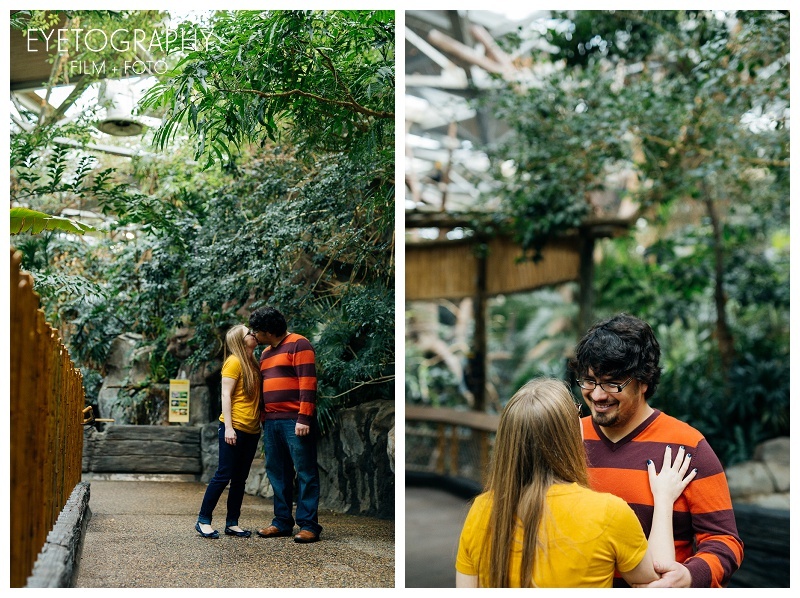 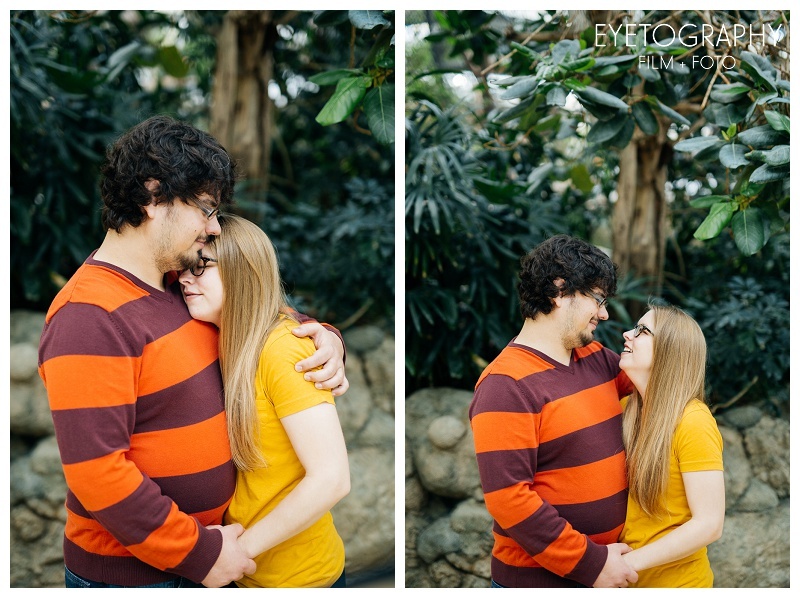 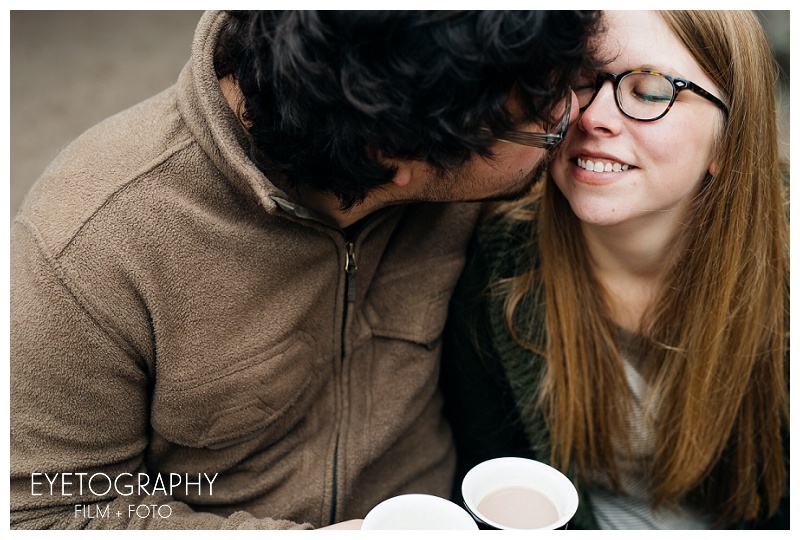 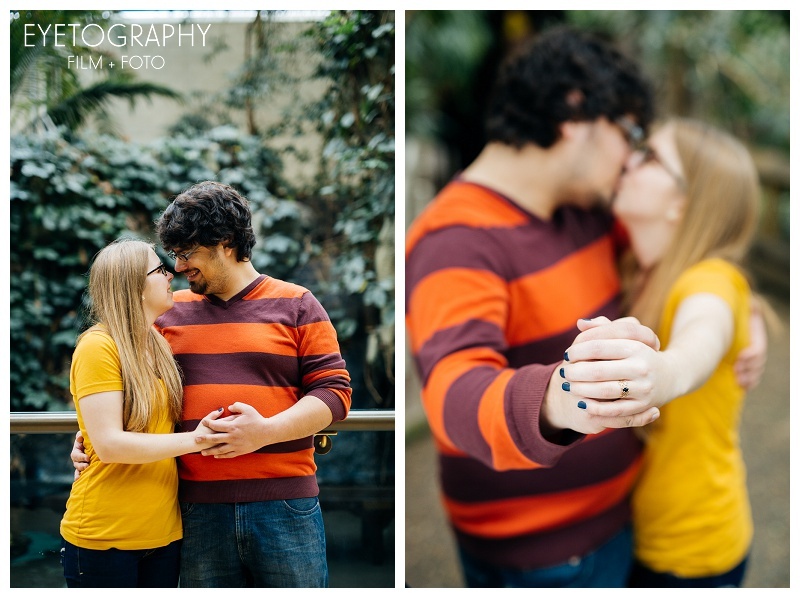 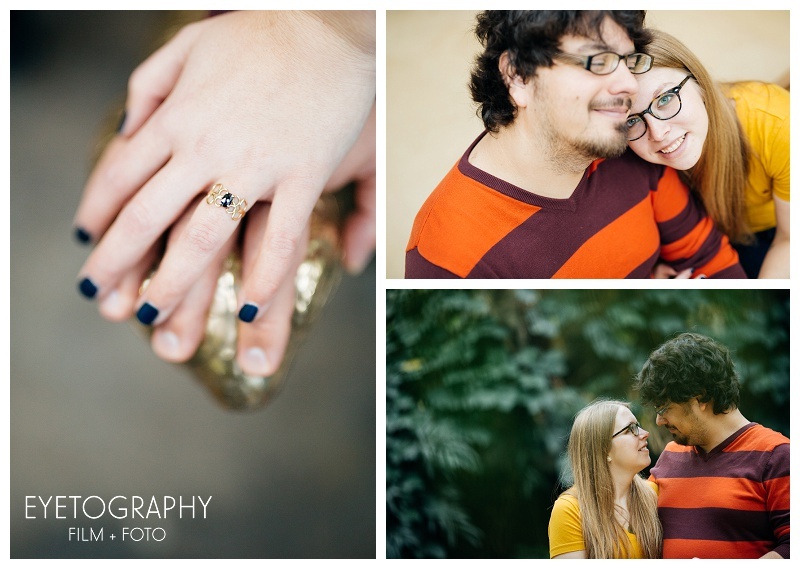 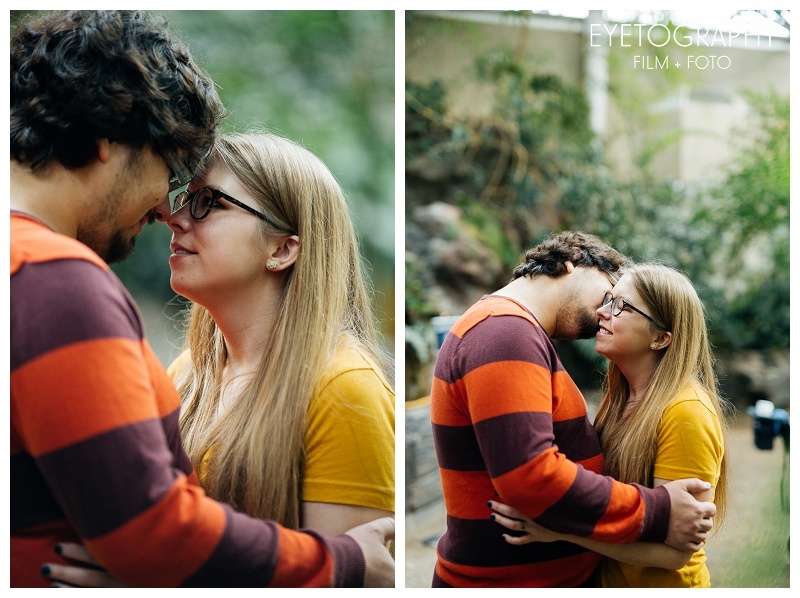 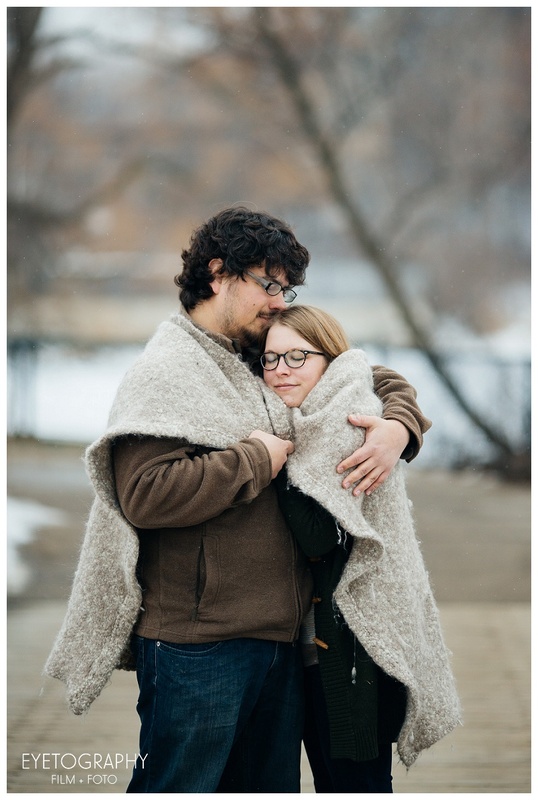 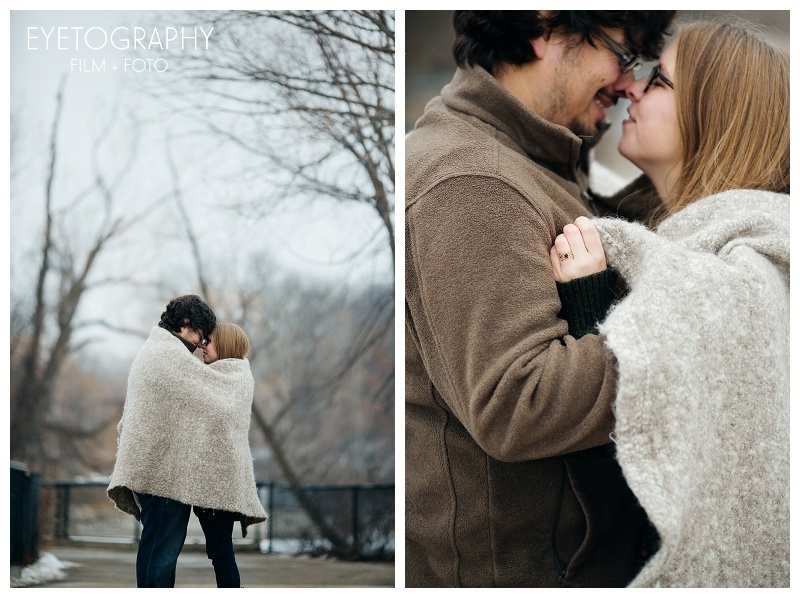 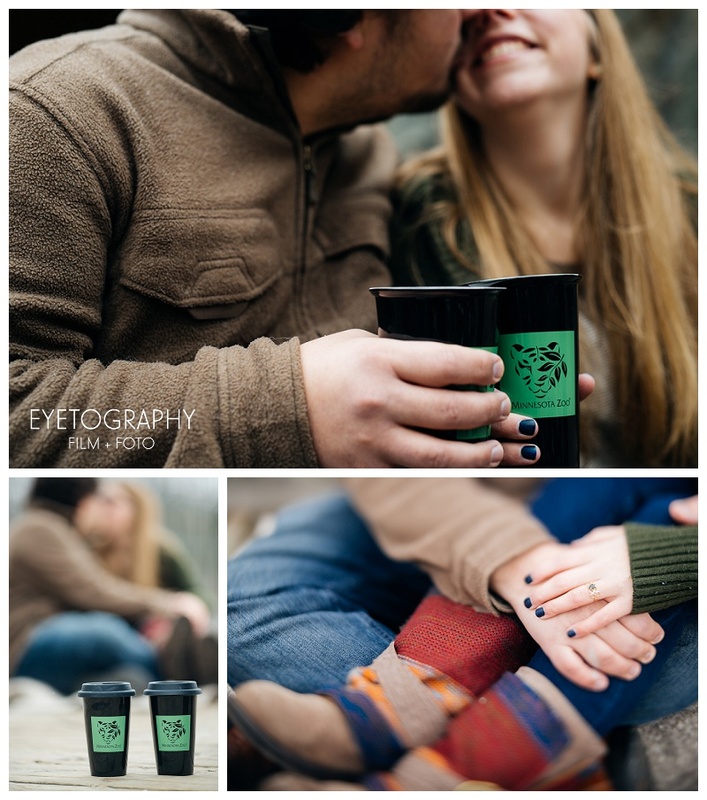 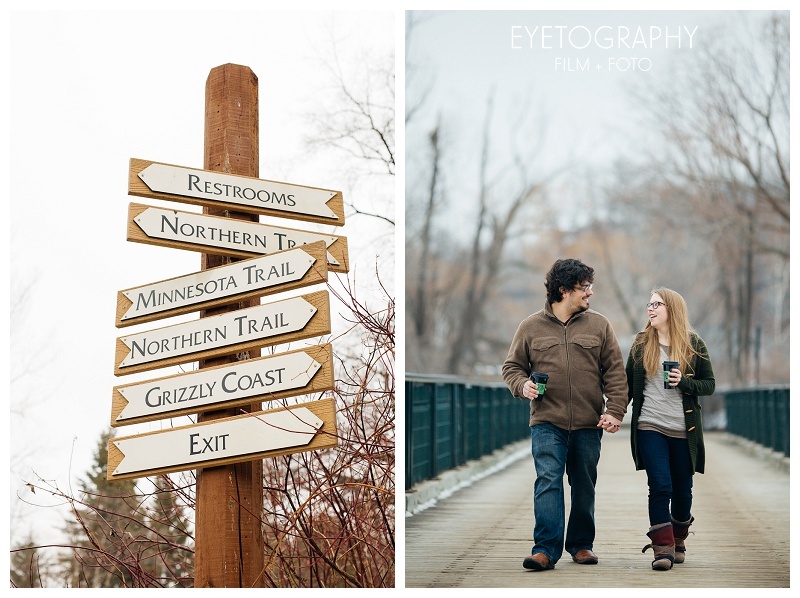 The Minnesota Zoo might not be your first thought when you think of an engagement session location, unless you’re Heidi and you walk up to the Zoo everyday when you go to work! 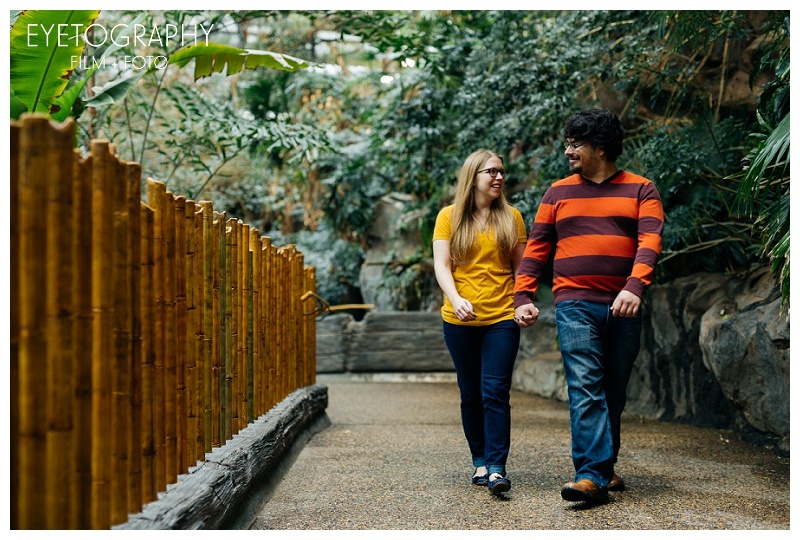 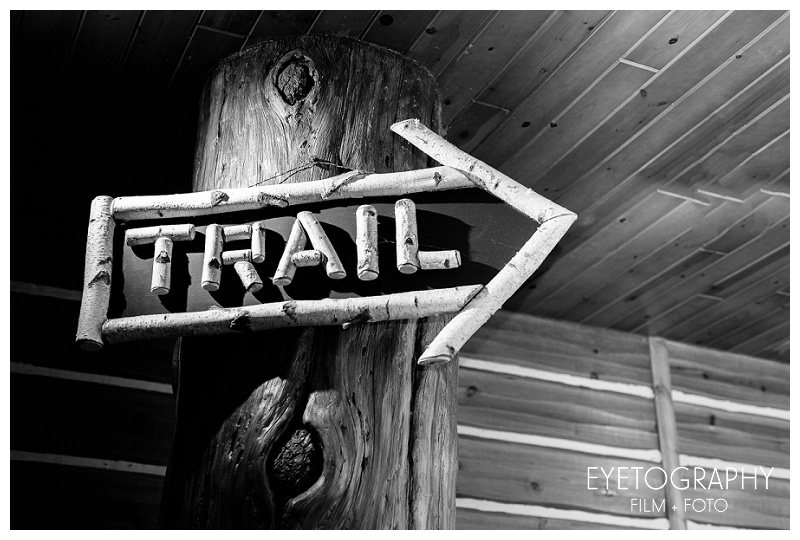 Of course, she spends most of her time there in her office, so as a real animal lover, I think she was really excited for a chance to walk the trail with Dan. 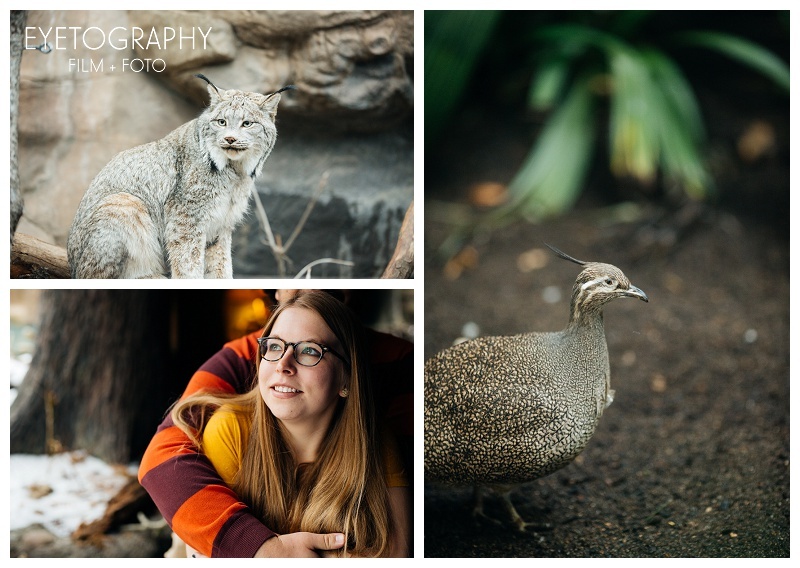 We couldn’t resist taking a few pictures of our animal companions along the way. 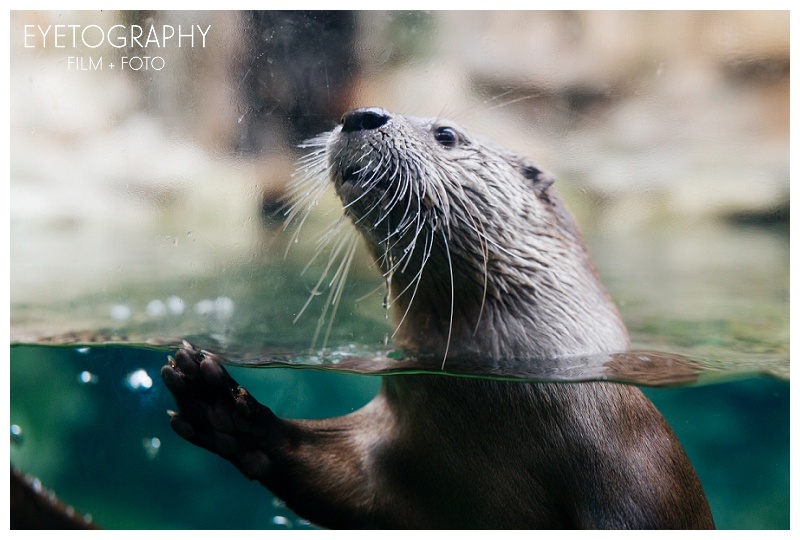 My favorite has to be the otter who playfully followed Heidi’s finger for a few seconds. 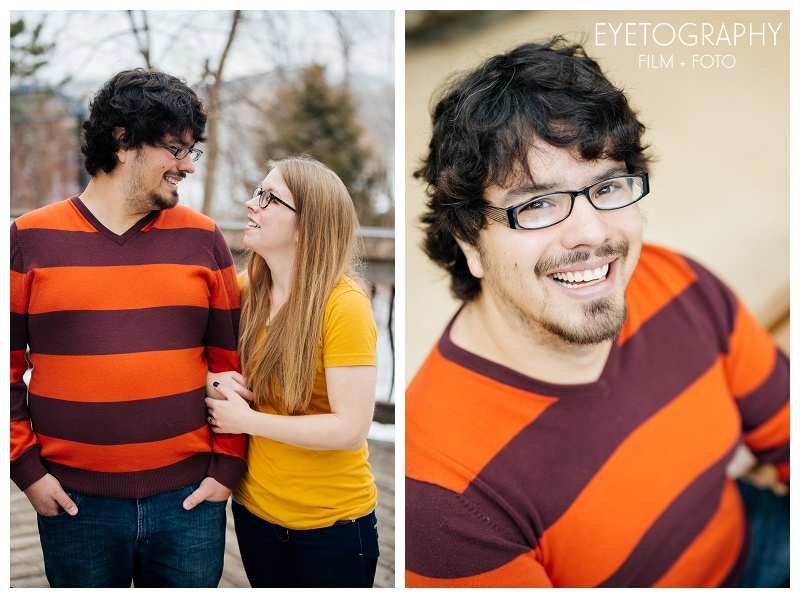 Both Heidi and Dan we so much fun to walk the trail with; they’re fun, colorful, and so incredibly sweet to each other. 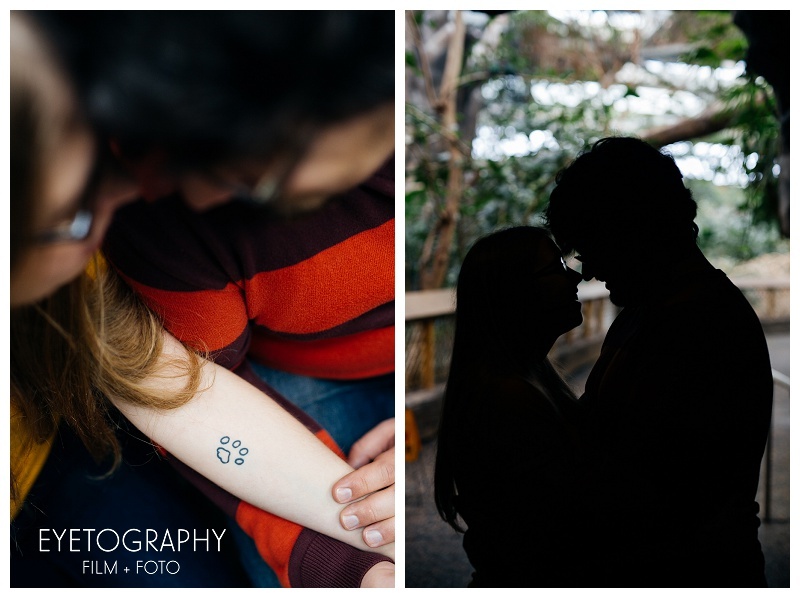 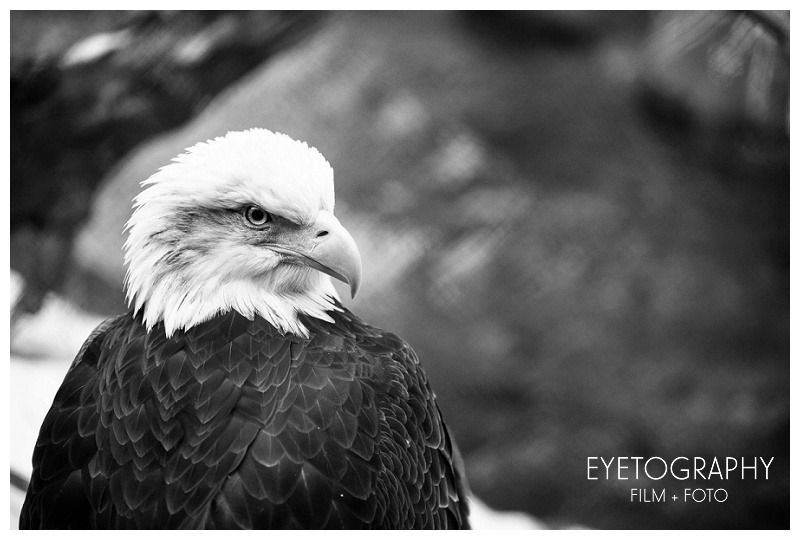 It was a treat to shoot with them! 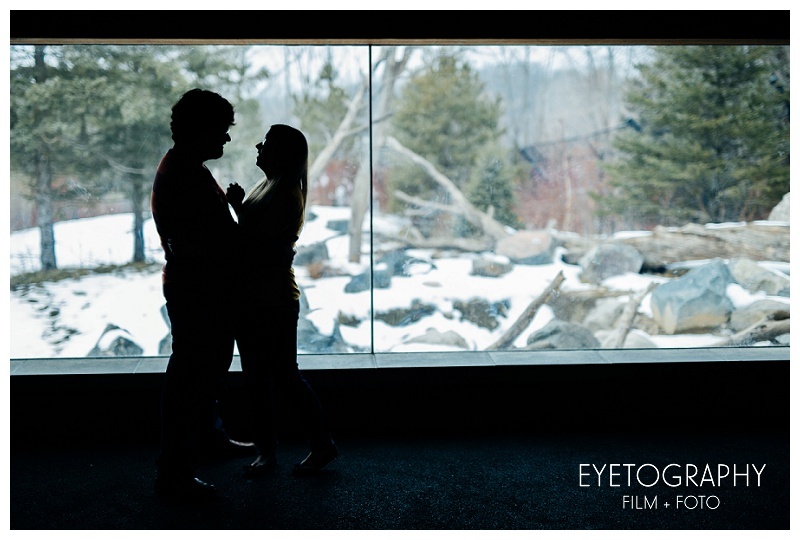 As a bonus, we got to shoot them in the romantic underwater tropics and wrapped up in a cozy blanket under a light snowfall. 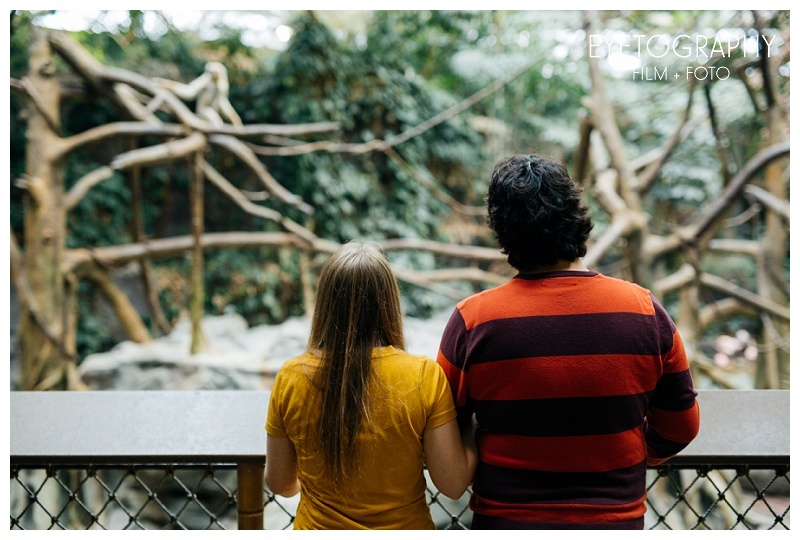 Hooray for the Minnesota Zoo!